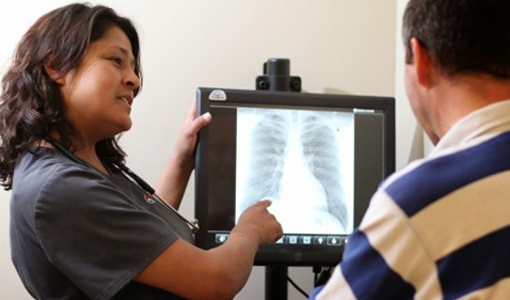 All ZipClinic Urgent Care locations have digital x-ray on-site. Digital x-rays allow for much higher image resolution than conventional x-rays, making it easier to detect injuries and illnesses. Because all of our x-rays are digital, we can easily send them for a second opinion or radiological interpretation if our providers have any questions or concerns about what they see in your x-ray. Patients who require a copy of their x-ray can simply request it be put on a CD. This CD can then be viewed by your personal physician or a specialist.